Contact me to get your own website! Field Gemologist International, which holds office on Silom Road in Bangkok, helps gem cutters and jewelry manufacturers expand their access to rough and loose cut gems outside of their traditional markets. They have many years of business experience in the international gemstone market; serve a myriad of segments in the gemstone industry; speak many languages; understand the intricacies of breaking into international markets; and possess valuable contacts within many gem producing countries. 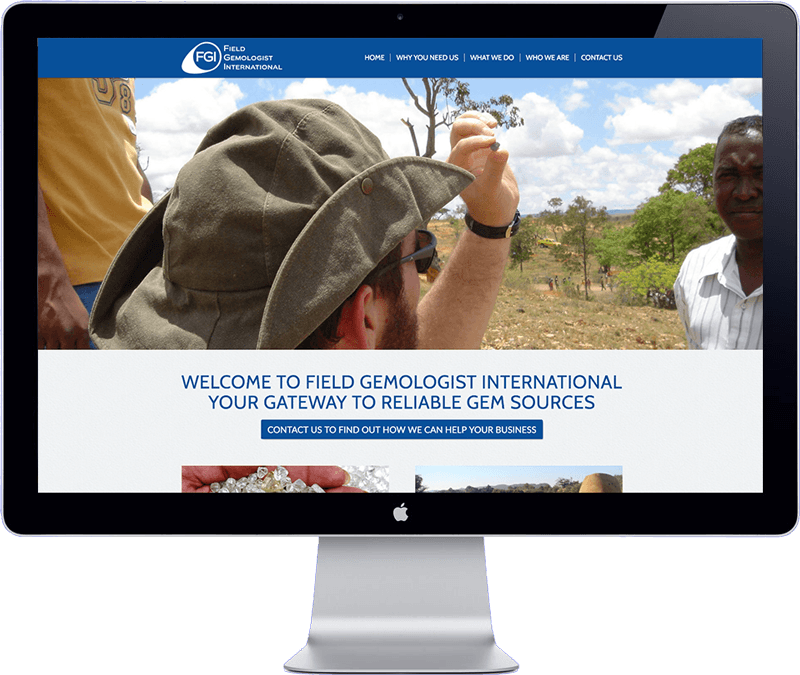 The managing director of Field Gemologist approached me to develop a new website for his company, his previous website had an outdated design en was very expensive to update. The new website reflects their company identity and inform visitors about their extensive experience and unique services. The website is easy to updated, optimized for search engines (SEO) and is secure. The website has been developed with the WordPress Content Management System.